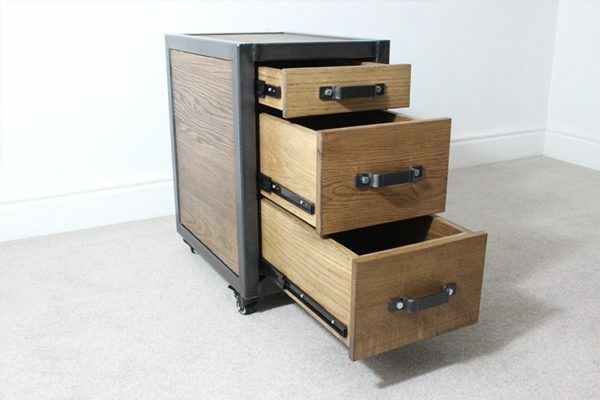 The Milena Industrial drawers are the perfect addition to the industrial desk or anywhere in your office space. 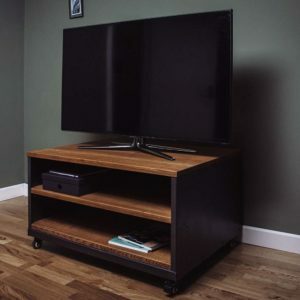 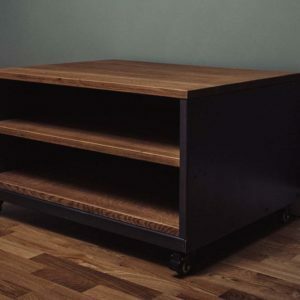 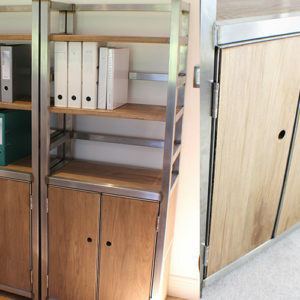 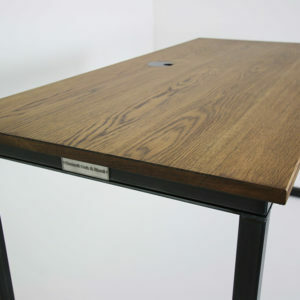 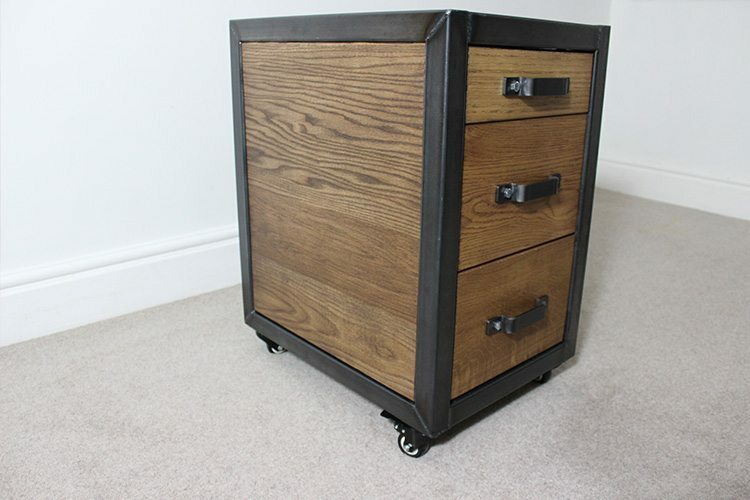 The unit is the perfect size to fit snug under our standard desk height of 750mm. 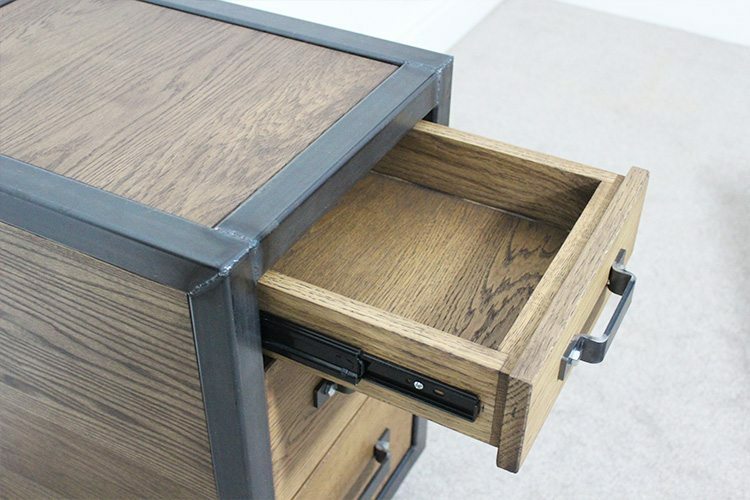 This particular design features soft close drawer hinges, which pull in the drawer slowly as it closes. 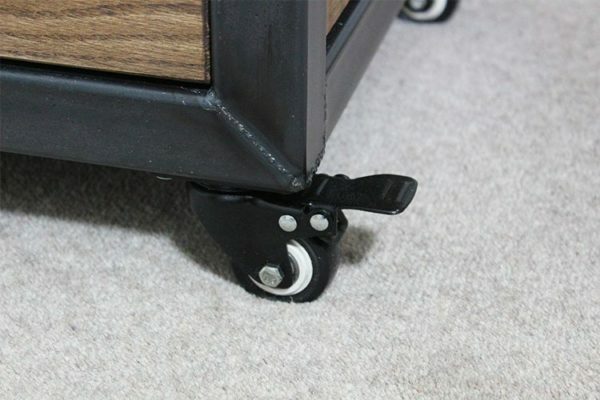 Optional wheels are fitted to the base of the frame and furnished with brakes to lock the unit in place. 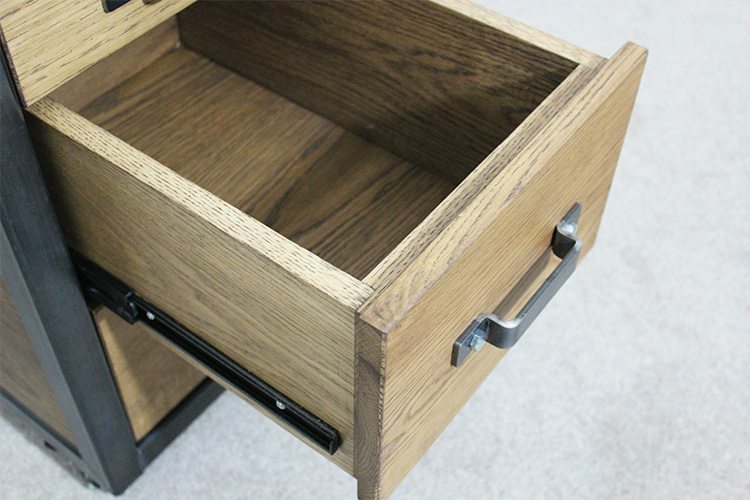 Solid oak panels are used to construct the drawers and are fitted on all sides. 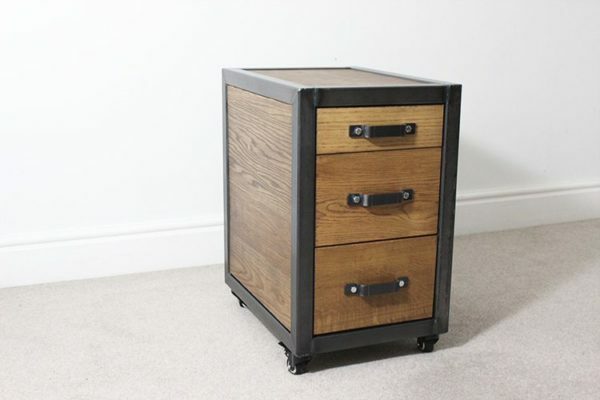 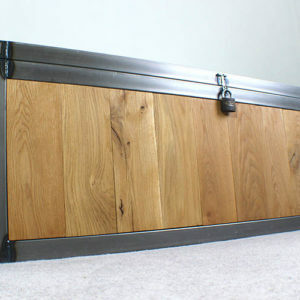 The drawers are also handmade using solid oak. 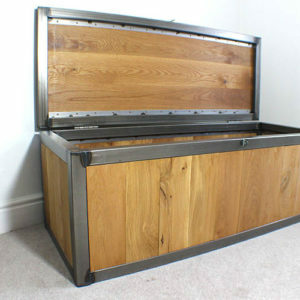 In the example pictured, the wood has been treated with the Antique Oak dye and finished with Treatex Hard-wax oil for protection. 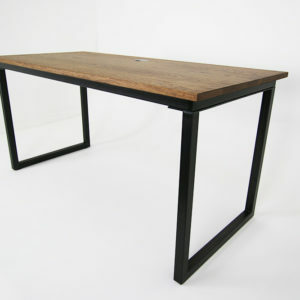 Other dyes and styles are available, to view our range please click on the link below. 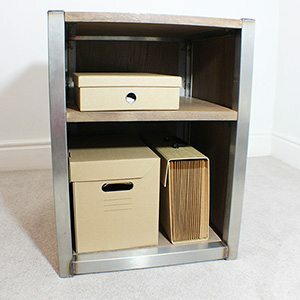 The steel used in our bespoke and attractive frames come in four styles: Mild, Charcoal, Brushed or Stainless, in this example shown the steel is Charcoal. 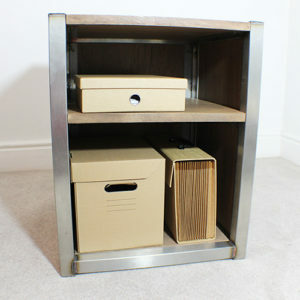 Or you can choose from our wide range of appealing Powder Coated colours. 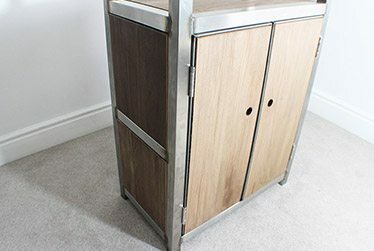 Our extensive selection will help you brighten your workspace with a dose of inspirational colour, click on the link below for options. 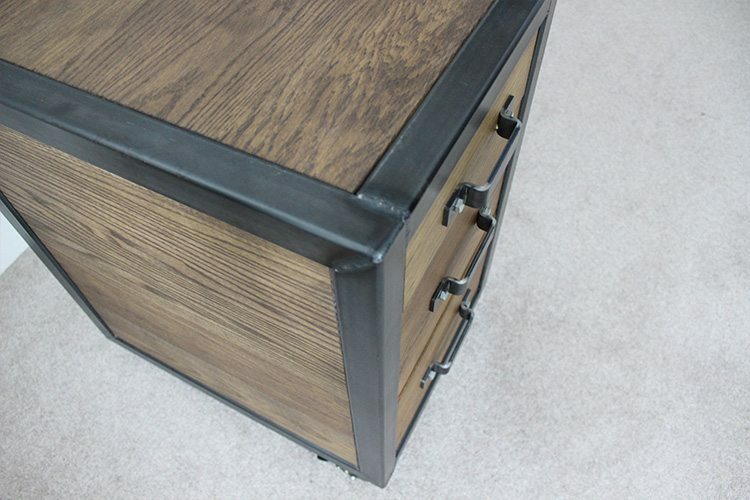 The steel is coated with a matt clear lacquer.